If you've ever thought your life is missing something, let me tell you that something could well have been Mac N Cheese stuffed crust pizza, but relax because it's here and it's ready to fill that carby-cheesy-shaped hole. Cheese addicts you're not dreaming, this a total game changer. Sometimes two things come together to create a combination that just feels SO right, like John Legend and Chrissy Teigen's relationship, or er, vodka and regret for example, but prepare yourself because this hybrid is putting all others before it in the shade. Just when you thought pizza couldn't get any better, Pizza Hut have only gone and given it the glow up we didn't know we needed. 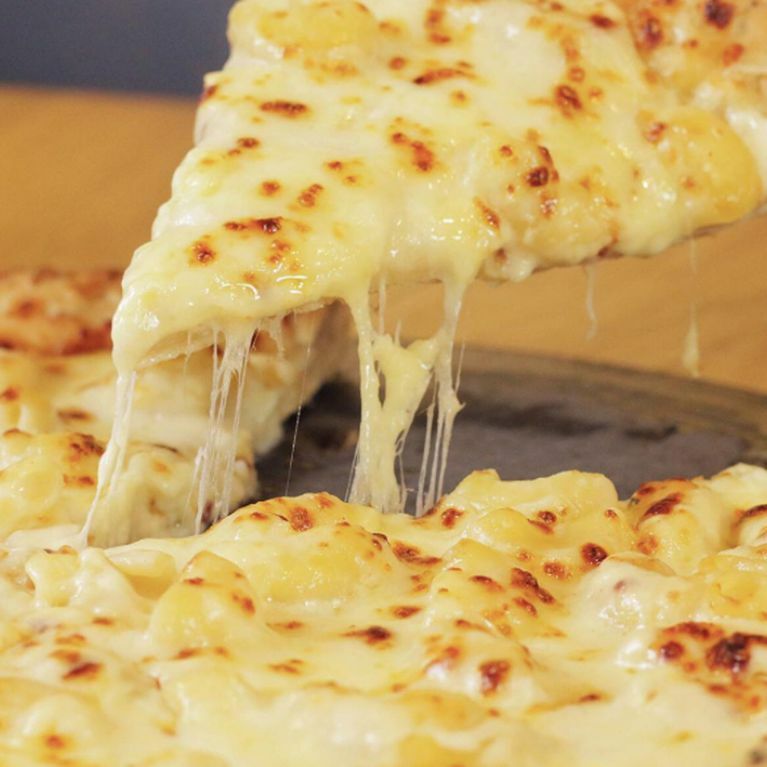 They've just added a Mac N Cheese Stuffed Crust pizza to their already mouthwatering menu, and to say our hangovers will never be the same again is an understatement. The new mac 'n' cheese pizza features a Stuffed Crust with a creamy Béchamel base, topped to the brim with mouth watering macaroni, cheese sauce, triple cheese blend and crispy onions. If you can't bear your pizza without a BBQ base, relax as there's also a BBQ version of the pizza which contains the same Stuffed Crust but with a banging BBQ base, topped with macaroni, gooey cheese sauce, triple cheese blend, a BBQ drizzle and crispy onions. The pizza is available at Pizza Hut restaurants nationwide until the end of the year, so there's plenty of time to rush towards the crust. I feel a lunch time Pizza Hut trip coming on.